While the majority of people tackle Route 66 via private vehicle or RV, there are many different ways to cross the country and to experience a jaunt down the Main Street of America. Unorthodoxy is an essential ingredient in the recipe that makes Route 66 such a mystical stretch of road. If it were just another conventional road, it wouldn’t have become ingrained into the American psyche as it has or become the cultural phenomenon that it is. Thankfully, its quirkiness has made an undeniable impression on many people who dream about traveling down the Mother Road. And for some, a car, a motor bike or an RV doesn’t quite cut it. A few intrepid individuals have traveled this historic highway in unique and nonconforming ways. Here are our top 5 unusual ways people have traveled Route 66. 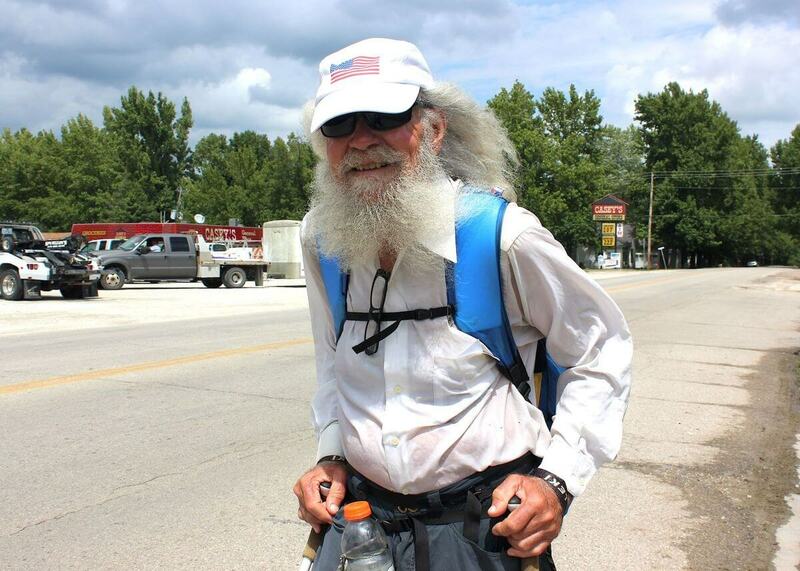 Dr. Meredith Eberhart, better known by his trail name, Nimblewill Nomad, hiked across the full 2,500 miles of Route 66. At 78 years of age and having been diagnosed with a life-threatening heart condition over a decade ago, Eberhart managed to make the entire way with two walking sticks, a bottle for water (often empty), and a five-pound pack. Eberhart’s perseverance and dedication to completing the trek will undoubtedly inspire other travelers to chase their dreams, no matter what stands in their way. 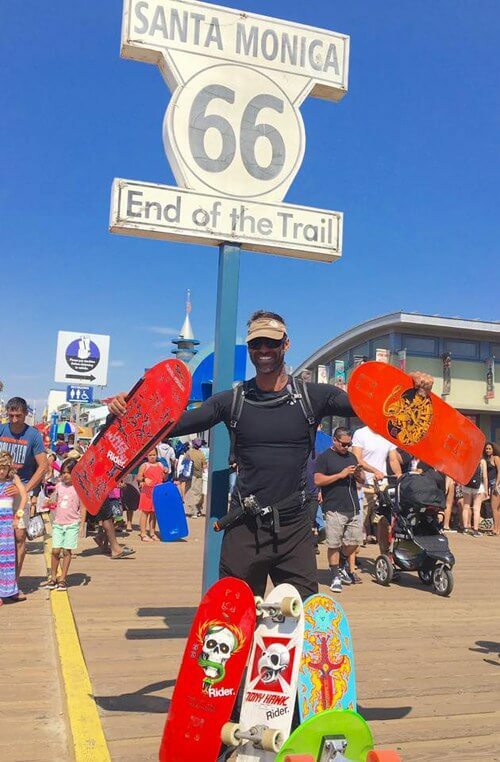 Australian Damien Rider was the first person to successfully shred the entire length of Route 66 on a skateboard, and he did it in only 56 days. He was determined to overcome adversity in the name of The Rider Foundation whose aim is to build training programs and safe houses for at-risk children. Whether it meant battling torrential downpour or scorching heat, there was nothing that could keep Rider from making it to the Santa Monica Pier. Peter and Tracy Flucke crushed 2,700-miles of historic Route 66 on a tandem bike. Pedaling in perfect unison was the key to their successful journey from Illinois to California. Most days they were able to keep a pace of around 13 to 15 mph. Some days they managed to do 70 miles or more, and others they took their time and enjoyed the hospitality of various businesses and road-side stops that are located along the highway. Regardless of how they did it, the Fluckes not only completed their goal, but they made sure to have a blast while doing so! 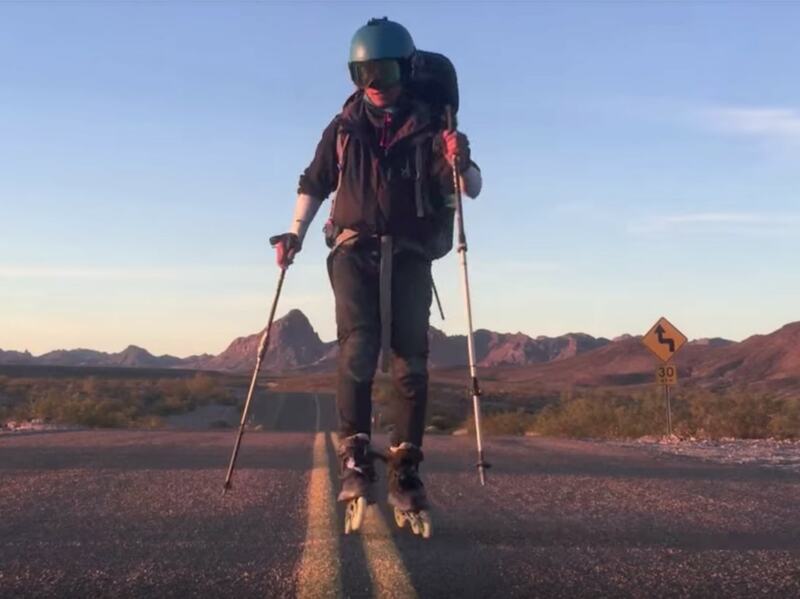 Yincai Luo, from China, rollerbladed across the Mother Road after skating around China and Europe, traversing both icy and sandy sections of the highway. Luo said the most enjoyable part of his journey was “the open minded, free, enthusiastic people” that he met along the way. During his travels he had to replace multiple sets of wheels, bearings, and skates that were virtually worn down to nonexistence. Unicycle: Lars Clausen is one of the few people to ride around the United States via unicycle. 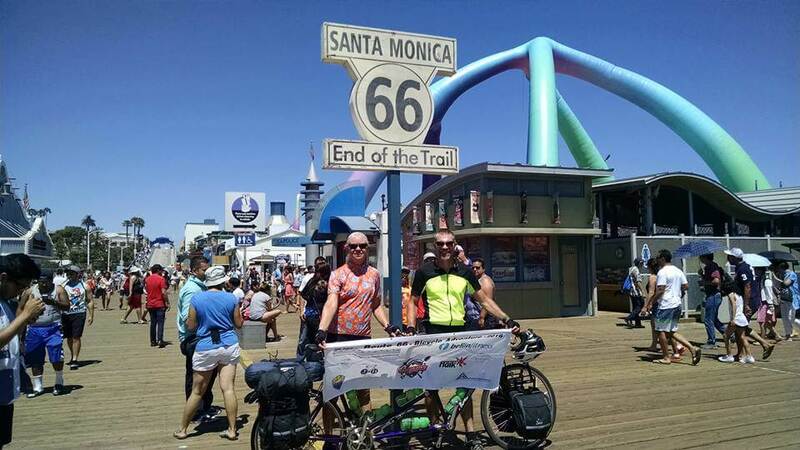 Clausen cruised the last portion of his fifty-state unicycle tour on Route 66 at the Santa Monica Pier. Clausen may not have traveled the entire highway by unicycle, but he chose to end an epic journey across America at the famous sign that marks the end of Route 66—a fitting finish for an iconic journey.